Jackpot Cash Casino is a popular casino choice with its great range of games, multiple bonuses and promotions. They also offer a great comp point loyalty program, secure banking and 24/7 customer service support. Jackpot Cash Casino has the following bonus package for all new players. All new players who signup can test drive the casino with a Free R200 No Deposit Required bonus. The wagering requirements are 60x bonus and a max cashout of R400. Jackpot Cash Casino also offer weekly deposit bonuses. Keep your eye open for your weekly email detailing the latest deposit bonuses. Jackpot Cash Casino offers a great range of weekly promotions, competitions and tournaments. Information on these promotions will be sent to your email in-box so keep a look out for all new offers. New players at the casino will be eligible for an exciting R5,000 sign up offer. Players can claim a 100% match deposit bonus up to R2,200, a 80% deposit bonus up to R1,600, a 60% deposit bonus up to R1,200. You will need to enter the correct coupon code for each bonus into the field provided, in order to redeem the bonus. Players can also earn comp points every time they play at the casino for real money. These points can be accumulated and redeemed for casino cash. Jackpot Cash Casino is powered by the online casino software provider, Real Time Gaming. 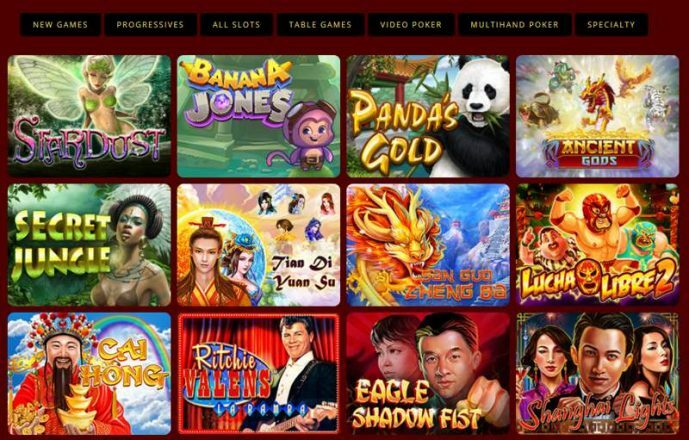 There are a wide range of games offered including favourites such as blackjack, roulette, baccarat, red dog, Caribbean poker, pai gow poker, war, let ‘em ride, pontoon, bingo, video poker, slots and progressive games. Slots games include Real Time Gaming’s unique real series slots. Players can choose to play for fun to practice the games at no risk to their bankroll or you can choose to play for real money to start winning immediately. There are also super slots tournaments that you can take part in. Check the tournament page for games being offered and for the times and buy-ins for each slots tournament. 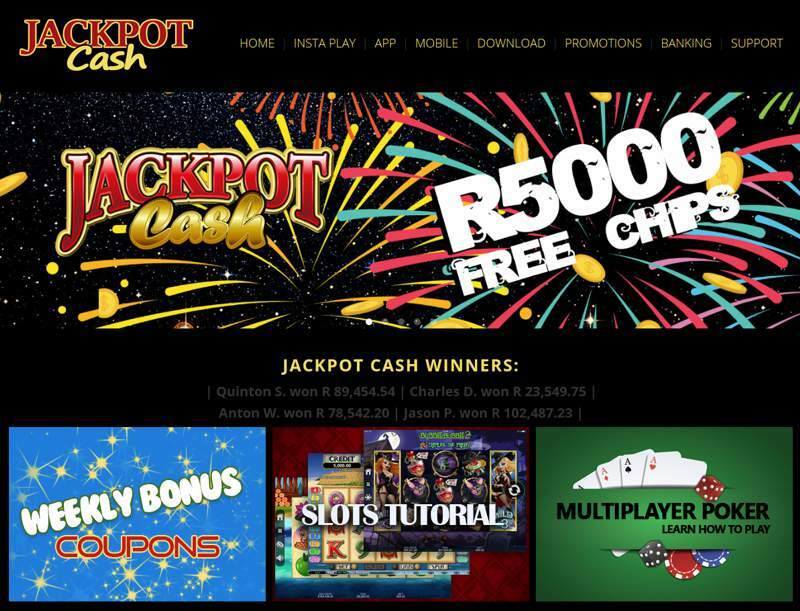 If you have any problems when playing at Jackpot Cash Casino you can access the FAQ section on the website. This section contains the answers to many general questions. If you do not find the answer to your question, you can contact their customer service team which is available 24 hours a day, seven days a week. They can be contacted via toll free telephone from South Africa, support query form or email.